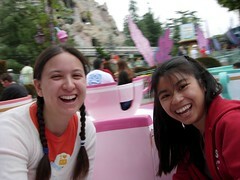 Disneyland Photos are up on Flickr. They'll get to the gallery at some point, too. This page contains a single entry by freecia published on June 11, 2006 11:00 PM. Knitter in review was the previous entry in this blog. RSS Diet is the next entry in this blog.